I got 27" ITP's on mine. I have 28" zilla's on my 450 and I love them. Zilla's are a lot lighter then the exacutioners. But the exacutioners will probley out last a zilla. I have a set of 28" itp mudlites for sale that are like brand new. They have 3 really short rides on them and never been ridden on pavement. They dont have any holes patches or anything. they are in great condition. Im askin $375 obo and i bought them for $540. I have pictures if interested. I have 26" somethings on mine. 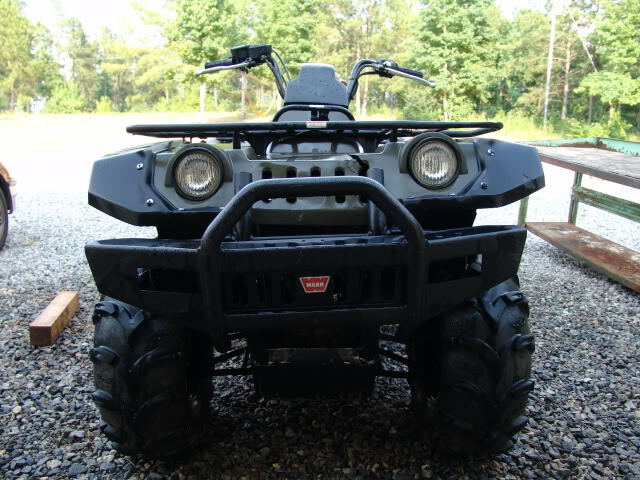 It is a 2000 Grizzly 600. It seems to be fine with them. Here is a photol. 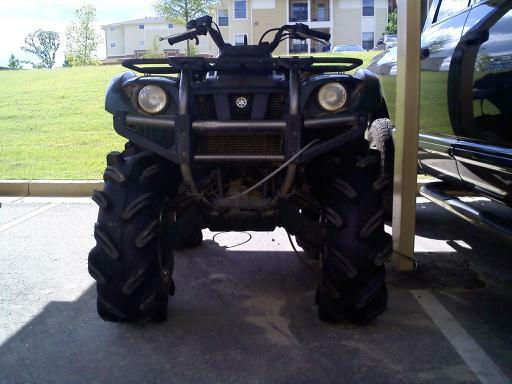 Quick Reply: grizzly 600 big tires?? ?